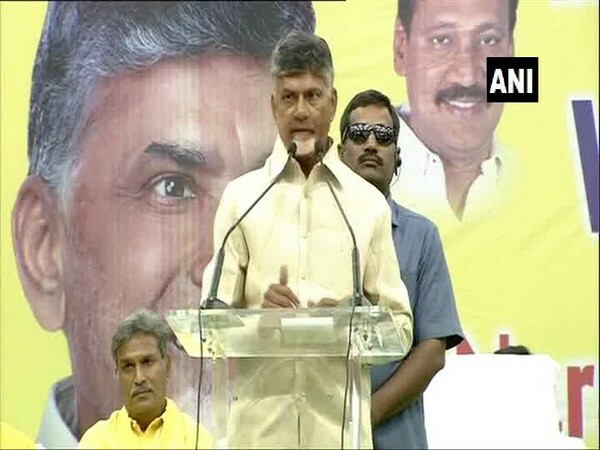 Vijayawada (Andhra Pradesh) [India], Mar 29 (ANI): Andhra Pradesh Chief Minister N Chandrababu Naidu has claimed that special teams comprising of Enforcement Directorate (ED) and Income Tax (IT) officials have been created to raid opposition party leaders. New Delhi [India], Oct 20 (ANI): The National Disaster Response Force (NDRF) has deployed 32 teams in various districts of Assam and Arunachal Pradesh following the threat of sudden flood from a temporary lake. California [USA], Oct 20 (ANI): Social media giant Facebook announced the appointment of United Kingdom's former deputy prime minister Nick Clegg as the vice president of the firm's global affairs and communications department. Rewari (Haryana) [India], Sep 15 (ANI): Ten teams have been formed under a Special Investigation Team (SIT), to probe the Rewari gangrape case. Devipatnam (Andhra Pradesh) [India], May 16 (ANI): A Dornier aircraft with diving teams has been sent to Rajahmundry, Andhra Pradesh, where a boat carrying about 40 people capsized in Godavari river on Tuesday. Cyberabad/Hyderabad (Telangana) [India], Dec 24 (ANI): In a shocking video that went viral on Saturday, a police officer was seen brutally beating up a man who was taken into custody. Washington D.C. [USA], Nov. 19 (ANI): With its Christmas Special, 'Doctor Who' is all set to make up for the nearly entire year gone without new episodes.